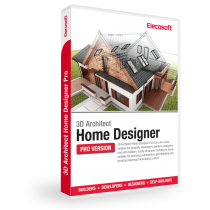 If you're looking for a program to design your home improvement project that you can use without taking up too many hours to learn, 3D Architect Home Designer range of software is the perfect choice for you. Design one room or an entire house, loft conversion or create a homerenovation project: decorate bathroom, kitchen or bedroom with furniture & appliances, apply floor styles or colours to walls. As you design you'll see your ideas in photo realistic and interactive 3D model with lighting effects, shadows and reflections. 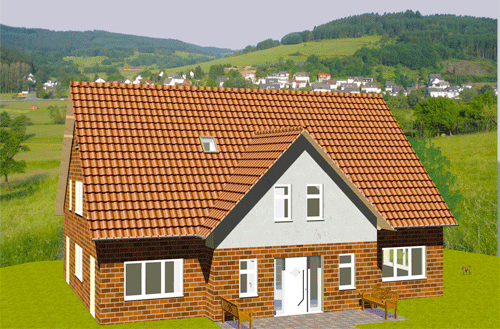 Once you finish, submit your professional drawing sets of floor plans and elevations to your local planning authority. 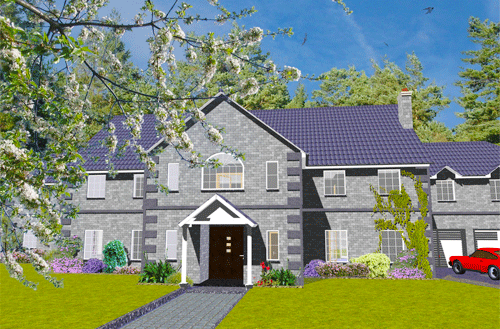 3D Architect Home Designer software offers an extremely friendly drawing and designing environment. Once you understand the software basics you will find easy to take your building project to the next level. 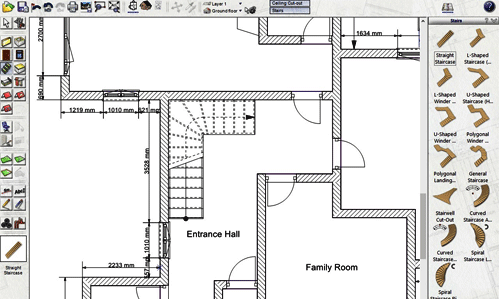 With our intuitive editor you can have your first floor plan ready within minutes. Place the walls, windows and doors and arrange everything according to your requirements. 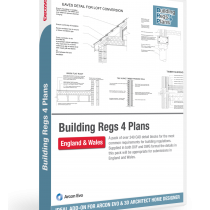 Powerful guidelines, rulers and measurement tools will help you to create accurate scaled floor plans. Also, you can design a the whole house from the basement to the attic as the 3D Architect software enables you draw multiple floors per project. 3D Architect planning and visualising tools give you all the tools you need to complete professional floor plans in 2D & 3D. 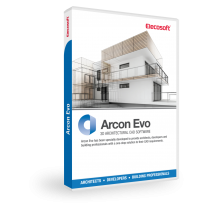 Advanced toolset includes flexible tools for objects such as doors, windows, dormers, garage, terrace, walls. Change the size, style, dimensions, materials, position and many more. Decorate your project quickly and easily with ready-made 3D objects. Choose from thousands of 3D furniture, fixtures, cabinets, appliances and many more. Change the size, dimensions and position. Need 3D object that's not in our collection? Download for free from SketchUp 3D Warehouse - the world’s biggest database of 3D models. In the world of 3D, texturing may just be the most important component for creating convincing final visualisations. Choose from many types of materials and high-quality textures for interior and exterior walls, the roof; change colours, furnish the floor with materials like hardwood, stone, tile or import your own. The powerful rendering tools will enhance your project with realistic light and shadow effects. See how certain lighting conditions affect the room during any time of the day. Nothing compares to having a virtual tour in a realistic 3D home improvement or home renovation project you are planning. See your ideas in an accurate 3D visualisation, which is automatically generated from a 2D plan in a single mouse click. Moreover, you can continue editing your project in 2D or 3D model. 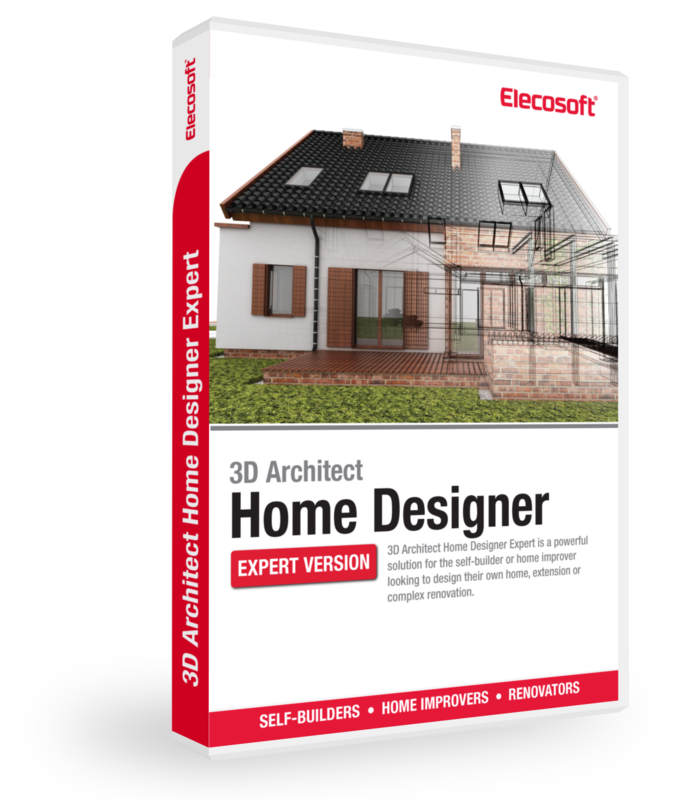 Builders, architects, interior designers and DIY enthusiasts find 3D Architect software the ideal tool for visualising how their project will look in reality when complete. Create and furnish your house floor plans with 3D Architect - the best tool for planning and visualising home renovation and improvement projects. 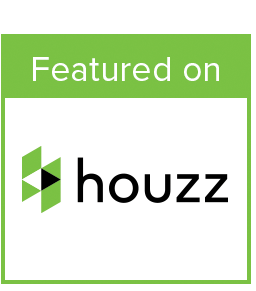 The toolset includes the ability to produce scaled accurate house floor plans and elevations for planning submissions.